Horrible...unless you are a Y.A. 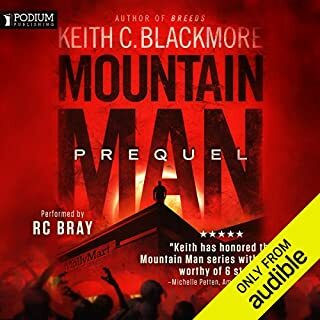 I picked this book because of the great reviews from other listeners. Never again. I am convinced they are either all made up by Audible to sell books or they are all written by young teens. This book was horrible. 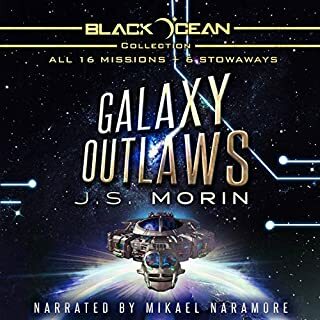 The story was bland, the characters are all direct rip offs from Star Wars, Guardians of the Galaxy and Firefly and the narration reminds me of Japanese Anime cartoons. I tried, i really tried... I suffered through several hours. I just could not care about our 'hero' not his boring crew of 'misfits'. Maybe if i was marooned on a deserted island or stuck in my car in a snowdrift overnight i would finish this book, but in real life i gave up three hours in. Do not waste your money or credits. 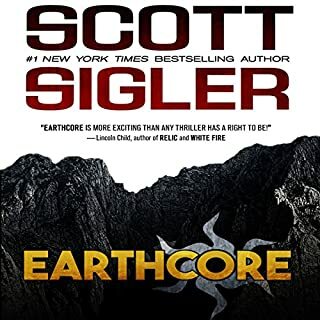 Loved this second in the Drizzt Trilogy back story. Not much to add. Any one who read the first will love the second. Great plot line, interesting new characters & wonderful narration. 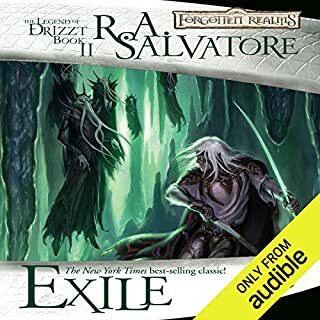 if i had to pick out one gripe it would be that Mr. Salvatore obviously wants us to absolutely hate Drizzt's mother and sisters but i think he over does it with the constant punishing and torture of every male associated with the family... it gets a little tiring. Other than that I strongly recommend getting this book. I am ready for the third! As another review said, to keep it simple: do not waste your money/credits or time with this nonsense. The premise seemed interesting but the book is anything but. 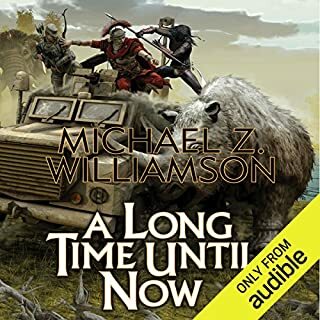 The characters are bland and lifeless, the narrator sounds like he's reading a children's story to a kindergarten and the author's leaps from event to conclusion are ridiculous. As if this isn't bad enough, they then spot a village of natives...when they mention that these indigenous people (from 15,000 years ago) all much taller than they are I had to quit and give up! Do not bother with this book, well... unless you are a young teen and then you may not care how bad it is. There is no way this book averages 4 Stars. I went back to look and noticed all of the reviews are from 2009 and 2010! The story has some merit so I stuck with it a while hoping the plot would hold my attention but every character -- including the alien-- is boring and not likeable. Most of the peripheral characters are clichés and you forget them immediately. But, in the end, it was the narration that made me stop listening. It is boring and monotoned...where he does try to add inflection in is as though he has no idea of normal speech patterns. At one point he is describing an accident where a cable snaps and a workers arm is ripped off at the shoulder... Summerer sound like he is reading instructions on how to assemble a grill! 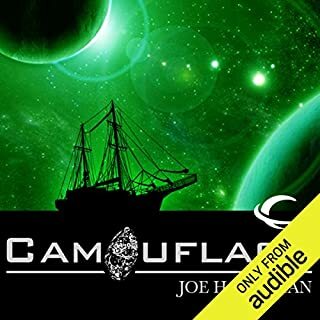 No wonder this book was on sale in an Audible 2-for deal...do not waste you credits. I don't get it. I admit I can be a literary snob but I just do not understand all of the 5 star reviews this book received. I found nothing likeable about our hero -- as a matter of fact, I found him annoying and irritating. I get it, he represents the "every man" character but there was little to like about him. The story had promise but it was ruined but bad dialog and worse plot choices. I mean that attempt at male banter in the first chapter was so bad I almost returned it before I was an hour into the book. I'll give it a little credit, there were a few suspenseful moments, but overall the characters were so blah and the plot so predictable that I would not recommend this to anyone over the age of 13. 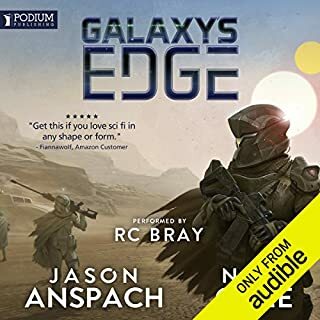 I also have to admit I am not a fan of RC Bray... his snarky, chummy tone tends to turn me off and as a result I find my mind wandering. 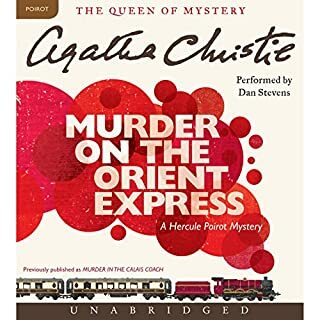 Not much needs to be said here: Agatha Christie is simple the best mystery writer ever...her ability to write dialog is unsurpassed and even though we all know the story it is still wonderful to listen. Dan Stevens' narration is fantastic! I could not recommend a better book to spend your credits on. I will recommend this book to anyone interested in biographies and modern history. 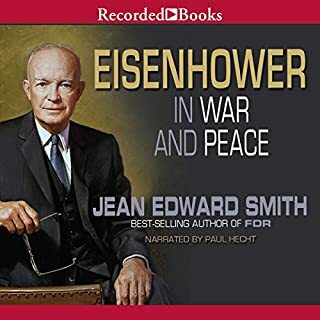 I knew very little about Ike and I am glad I took the time to listen to this book about him. This is no love letter by a biographer who is enamored by his subject... it is a fair, even biography highlighting Ike's strong points but also enlightening us about his failures and weaknesses. It drags a bit here and there and gets a bit repetitive but overall it was worth it. Paul Hecht's narration is a bit uninspired but that is what one expects in a bio... the thing that has me taking away a couple of stars is the fact that he mispronounces some pretty basic words & that drives me crazy. still, this is easy to overlook and the book is well worth the credits. Hated every character; wanted them ALL to die! There is some slight possibility that without any of the characters in this book that in may have been interesting...but I doubt it. 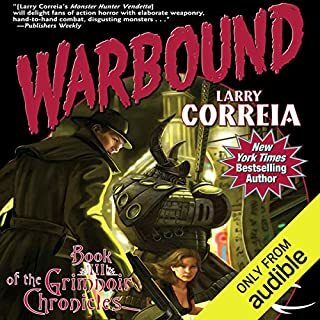 I disliked each and every one of the characters in this book and didn't care what happened to any of them to the point where I could not get past chapter 10 or 11. I will surely be returning this book to get my credits back. The story starts with ridiculous male banter between some grad students spelunking in the 1940's. I disliked them all and found the dialog inane and prayed that was only because it was a prologue… alas, the rest of the book is that way too. Cliched characters, unrealistic dialog and every person meaner than the next made for a boring unpleasant ordeal. Don't waste your money or credits, though I doubt you'll be able to find this review. Ugh! Big disappointment. AT least the 2nd book. I liked the first book and really hated the second book. The first was filled with clichéd characters and several action filled battle scenes. there certainly was a 'disconnect' between the two books but they eventually tried to tie some of the loose ends back together. One annoying factor was that in the first story the Legionnaires were fearsome warriors who were unmatched. any ten could wipe out any 500 of the enemy...in the second book, most "Leiges" were inept yoyo's who couldn't fight there way out of a paper bag. There were also way too many "out of the frying pan -- into the fire" scenarios for me... fight scenes and battles just go on & on. To complicate matters in the 2nd book, there are 2 main characters I like Rex but quite frankly I didn't give a darn what happened to "captain Keel (sp?). They tried to make him a cross between Han Solo & Peter Quill (Guardians of the Galaxy) and it doesn't work. Most of the time I was rooting for his opponents in the hope that he would get killed. The thing that kept me listening were all of the side characters and even they were not developed fully. There seemed to be a lot of ripping off of Star Wars, right from our Han Solo wannabe to the Furry Cat-man pilot. There are bounty hunters, assassins, even an evil overlord controlling admirals. All in all, I cannot recommend this book, unless you are able to ignore repetition, shallow characters and lame dialog. I would listen to Bron Pinchot read a dictionary! Jake, Fay & cast are back! Don't waste anymore time...Get it today!